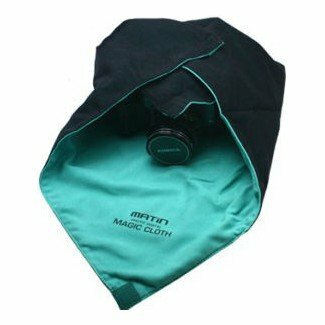 This large two layer cloth is an excellent accessory to protect delicate optical equipment. The inner layer is manufactured from a soft microfibre lens cleaning cloth to avoid any possibility of scratching the equipment. 52cmx52cm (20x20''), large enough to wrap a SLR with lens attached. Simple hook and loop fastening. The hook part is sewn at each corner, while the outer shell material is hook compatible ...Contact us if you need more help. If you have any questions about this product by MATIn, contact us by completing and submitting the form below. If you are looking for a specif part number, please include it with your message.